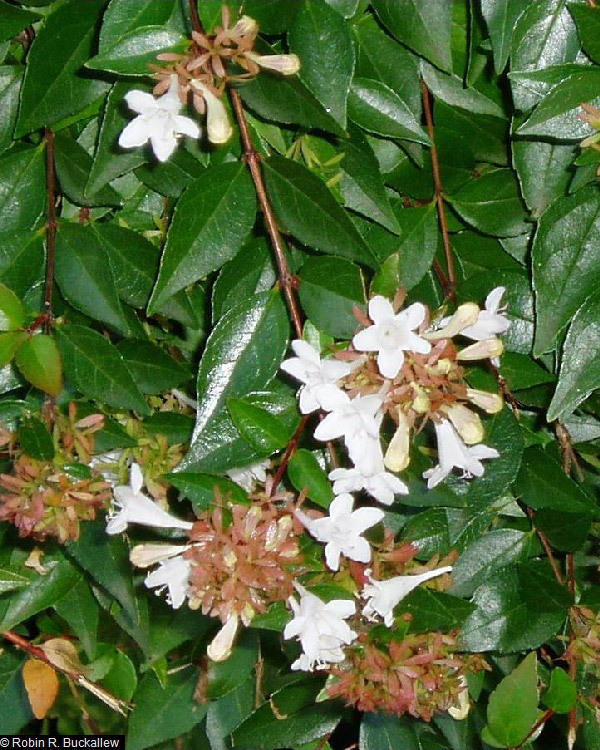 Glossy Abelia is a semi-deciduous, multi-stemmed shrub with graceful, arching branches. 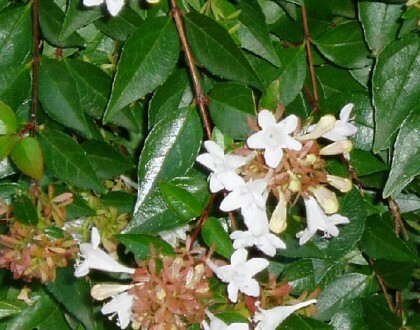 Fragrant, bell-shaped, white or pink flowers bloom May-September. The dark green leaves turn an attractive dark purple in the fall. Use this plant as a specimen or in mass plantings. It can also be used as a screen or hedge, and is effective for erosion control on steep slopes. 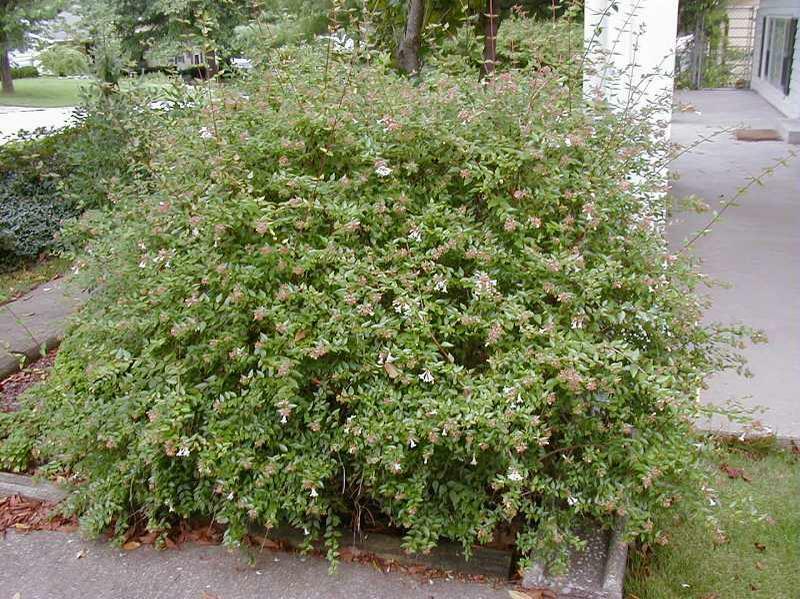 Glossy Abelia is susceptible to stem damage during harsh winters, so consider planting it in protected locations.